Healing InSight is now offering acupuncture memberships! 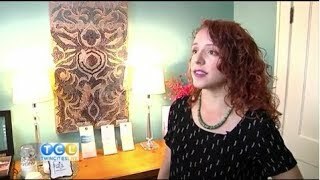 Watch this clip to find out all the ways an acupuncture membership could benefit you. What to do if you’ve overdone it at the State Fair? If all of the great food has your stomach upset, or your back is sore from enjoying some rides – you can help yourself! Senia Mae offers tips on what to consume before, during, and after a day at the Fair, as well as how to ease sore back pain and nausea. Elizabeth Ries Gets Cosmetic Acupuncture! Does your body feel heavy all day long? Have you been feeling cold or tired all the time? These are signs that your metabolism needs repair. Learn more about these symptoms and find ways to help heal your metabolism! Acupuncture has been used for ages to help people lose weight, and we’ve created a program based on over 10 years of experience (and every tool in the Traditional Chinese Medicine toolbox!) to help people lose weight by improving their metabolism.